This game tests your understanding of expressions. Correct collector 4 game enhances your math mastery by providing you with a lot of fun practices. Likewise, nice graphics and eye catching images are used to ensure you enjoy your learning process. 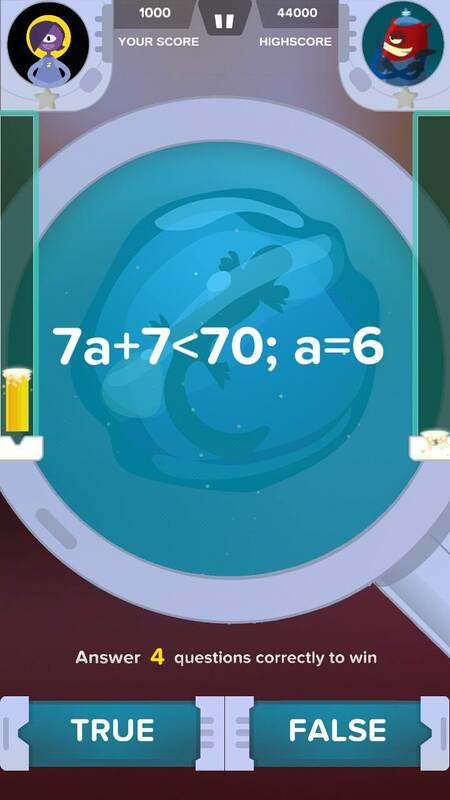 Besides making you feel entertained, The Correct Collector 4 game lets you test your understanding of expressions by verifying the given algebraic equation. You will need to state if the equation is true or false by inspecting the variables. So what actually you should expect after playing this game? Upon finishing playing it you will be able to master many exercises related to expressions in a more simpler and efficient way. Besides that, expressions game is composed of tutorial at the beginning of the game so as to enable you to understand how to play it. However, we recommend you to understand the tutorial before you get started the game so as to make sure that you manage to get higher scores during your play.